Brain Juice – This is not only a downright weird Series 2000 entry, but a disgusting one as well. You just need to tell from the cover and its purple juice-oozing brain that this is a terrible thing to read, just like people say minds are. After two kids down some alien-manufactured brain juice, they literally turn into geniuses (dumb, but predictable), and these aliens are looking for young geniuses just like their kind. What. See, I haven’t read this book, so I wouldn’t know how strange it is. As I will quote Troy Steele from Blogger Beware, “Based on the number of times some variation of the word “stupid” was used in Brain Juice, the target audience must have been Andy from Monster Blood.” A mind actually would be a terrible thing to drink: that is, if aliens actually existed. My Best Friend Is Invisible – Do I have to waste space describing this to you? Well, I will: it’s a story starring me (or, at least, a boy with my name) which renders me totally into ghosts and sci-fi, which I am not. My parents only believe in legit science, themselves being research scientists who think I don’t have the perfect hobby. But now I met this kid who’s a total thorn in the side, crashing in my room, nom-nomming my breakfast. I gotta get this nuisance out of here—but the thing is, he’s flopping invisible. OMG. The weirdest pat of the book was definitely its ending, and I can’t spoil the book, so you could go buy it, or check out its page on Blogger Beware. If you’re not a fan of wasting time Googling, you can just click here for the review of My Best Friend Is Invisible. Surely you’re a fan of that. The Werewolf in the Living Room – Nuff said. Bride of the Living Dummy – Okay, now I get it: Slappy’s jealous because Chucky’s stealing all his spotlight. He does everything Chucky does, and he still gets trapped in just books after books while Chucky’s making fame in show biz. Chucky starts out cute, Slappy starts out cute. Chucky comes to life and gets creepy, Slappy comes to life and gets creepy. Chucky dies at the end and gets resurrected, Slappy dies at the end and gets resurrected. Chucky gets a freaking wife, and guess what…Slappy’s got himself a wife! Invasion of the Body Squeezers, Parts 1 and 2 – This seems to be epic only in the way that Epic Movie is epic. Oh, and one more thing that I forgot…WHAT THE FUDGE MUFFIN IS THIS. 1. Carly Beth from The Haunted Mask comes back to help Steve in The Haunted Mask II. True or false? 2. 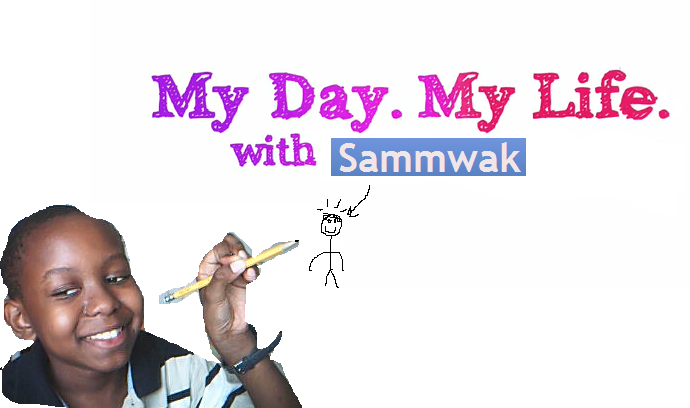 At the end of My Best Friend is Invisible, what disgusts Sam and his family about his invisible friend? 3. What is the fake superhero persona that Skipper uses to save himself against Libby/the Mutant at the end of Attack of the Mutant? 4. What is the horrible thing that Mr. Toggle does to people in Piano Lessons Can Be Murder? 5. In Attack of the Jack-o’-Lanterns, who the heck are the pumpkin monsters? 1/5: You’ve heard of Goosebumps, right? 3/5: Bad, but not bad. Are you sure you didn’t try winging this and tried to remember when you read these in the second grade? 4/5: Not bad of a job, partner. I have some open spots for my Page by Page book club. Want to join? 5/5: Well done, Mr. Knows-His/Her-Goosebumps! I applaud your knowledge and the fact that you’re ready for my new performance test! There really was no other spot bad enough to scratch the bottom of the barrel. Interplay’s ClayFighter 63 1/3 (mocking the fad of N64 games that have 64 as a suffix in their title, like Pilotwings 64) is either one of the funniest N64 games created, or one of the console’s worst letdowns, depending on who you rely on. The third of the ClayFighter series, after the original SNES ClayFighter and its sequel C2 Judgement Clay, it still continues its ancestors’ trend of using stop-motion clay animation (aka claymation) to provide cheesy but hilarious fighting. With parodies at every corner of the game, such as Mortal Kombat-mimicking “claytalities”, and “Let’s get ready to crumble!” based off of “Let’s get ready to rumble!”, this game was too hilarious for its own good. 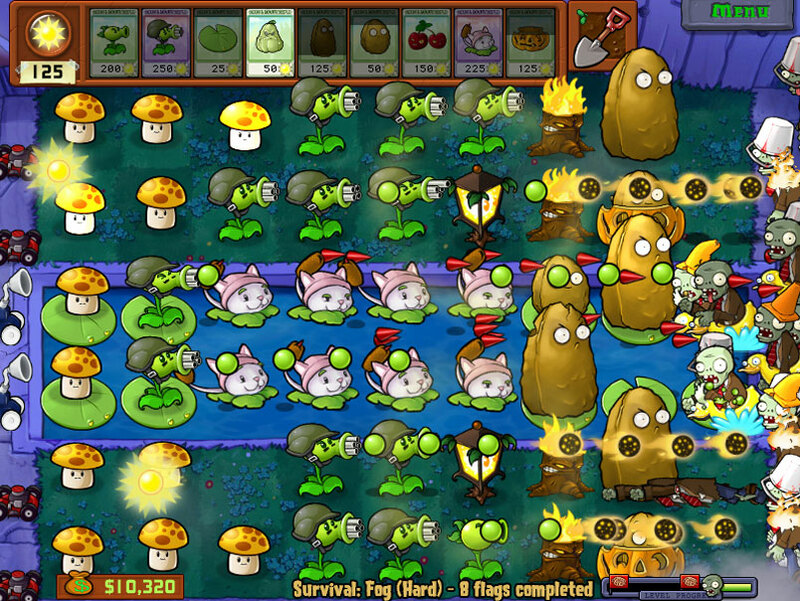 The gameplay nonetheless was terribly derivative, pathetically visualized, and very annoying with sounding. It’s a balance between a mediocre game and a horrible game. It’s not that I don’t recommend it, but it’s just that I don’t recommend it for people who know their fighting games. Now do you know why this is at the bottom of the list? 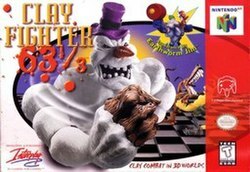 FUN FACT: Did you know that ClayFighter 63 1/3‘s later rental-only edition, ClayFighter: Sculptor’s Cut, is one of the rarest and most expensive N64 games of all time? #9 goes to Star Fox 64, also known as (in the PAL region) Lylat Wars. This game actually was not the first Star Fox game, as the real original was released for the NES four years before this. 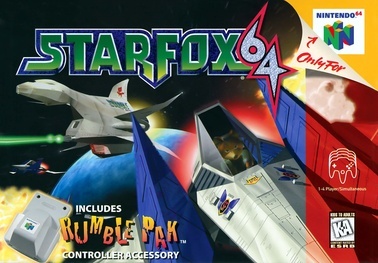 You actually couldn’t classify this game as an “aerial space shooter”, but instead a “rail shooter.” This also became a first of N64 history to include the infamous force-feedback Rumble Pak. The game actually originated indeed from Shigeru “Big Boss” Miyamoto, which evolved finally into the process of controlling Fox McCloud and one of his piloted vehicles, usually his Arwing. That Arwing is also known to deflect enemy fire in the midst of performing a popular and official meme, the “barrel roll.” Fox only has 3 other members of his new Star Fox team (passed down from his father after his passing): Falco Lombardi, Fox’s friendly rival, Slippy Toad, Fox’s youthful friend, and Peppy “Barrel Roll” Hare, Fox’s mentor. It has been praised for its enjoyable gameplay, great soundtrack, nice-enough visuals, and more, but the only bad things people had to say were of its incredibly short duration and lack of rumble support. And the reason this game couldn’t even make the top 5 is since I personally know I’d be horrible at rail shooters. Shooting bad guys while keeping track of your team is a lot of work for a kid. FUN FACT: Did you know that Star Fox 64‘s voice acting originated from Shigeru Miyamoto’s interest in English puppet dramas? While developing the game’s animation sequences, they had the characters’ mouths open and close like puppets. Does anyone notice "Nintendo 64" emblazoned on this snowboarder's shirt? I want a snowboarding jacket like that. 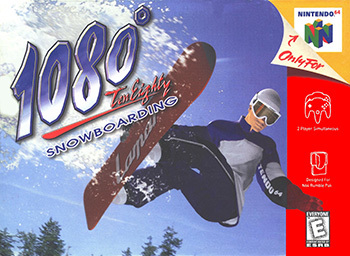 #8 goes to 1080° Snowboarding (pronounced Ten Eighty), the most praised snowboarding game on the Nintendo 64. 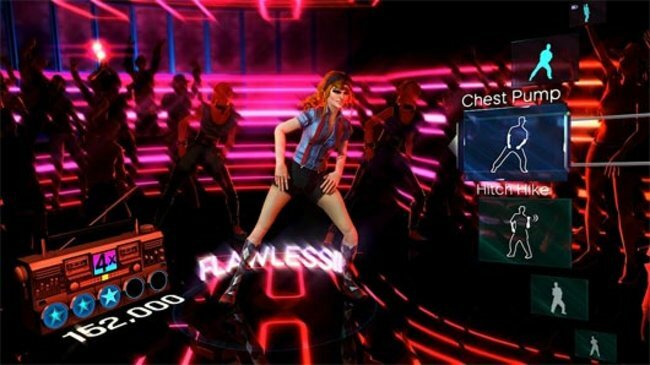 The player controls a snowboarder in one of six different modes; it has two trick modes (trick attack and contest), three race modes (race, time attack, and multiplayer), a training mode, and options. 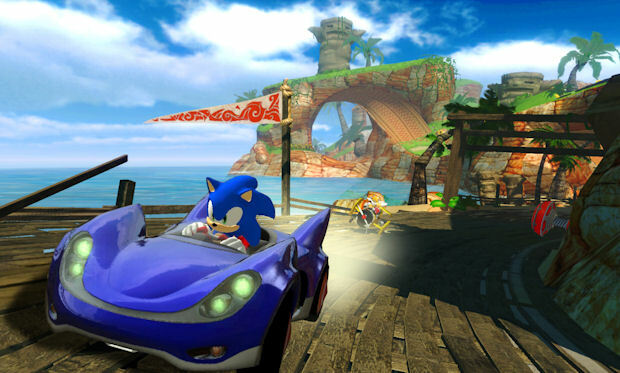 The objective of the whole game is to either arrive at a finish line as fast as possible, or to receive as much credit for tricks as you can. These wee goals have resulted in 1,230,000 copies sold just in the U.S., but also a ranking as only not even the thirtieth-most bestselling game. It still has been considered either the best snowboarding game created, or one of the most strenuous created, depending on who you rely on. FUN FACT: Did you know that 1080‘s graphics were the highest on the N64 at that time (aka 1998)? #7 goes to the Rare-Nintendo team’s world record-setting Diddy Kong Racing, with 800,000 copies ordered before Christmas 1997 even arrived. Released 2 months after the N64, this game supported the storyline of a tiger named Timber being left in charge of an island soon to be terrorized by the horrific Wizpig, so Timber recruits his racer-skilled friends to form a team and beat Wizpig once and for all. This game is either one of the best or worst N64 racers, depending on either its amazing soundtrack and smooth gameplay outcome, or its horribly tedious story-mode process. This game is the only N64 racing game I have, and so far, it’s a guilty pleasure, and a perfect example of the N64’s unusually impressive freezing abilities. But hey—racers like these don’t come often, and no one like Mickey Mouse should come along and copy it!…What? He already did? Dang it! #6 goes to the Camelot-Nintendo team’s creation of Mario Golf, the actual second game in the eponymous series, after NES Open Tournament Golf, which actually still starred Mario and Luigi. 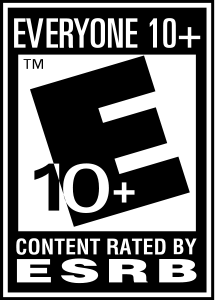 This game was a critic’s paradise with no review with a score dropping below a limit of 8.0/80%. IGN was even nice enough to cater a perfect score for the game! This game actually is a blast, with its keen and precise golfing engines, like setting power. There are 11 characters in the game overall (with 3 unlockables), who include Mario, Luigi, Bowser, Donkey Kong, Metal Mario, and even our beloved Baby Mario. The first golfing game our princess-saving plumber has starred in with 3D computer graphics (like Super Mario 64 introducing Mario to 3D graphics), this game was just released in mid-summer 1999, and for the duration of five years, it’s gotten two sequels, plus a mobile golfing simulator. What could be better than such a unique game? 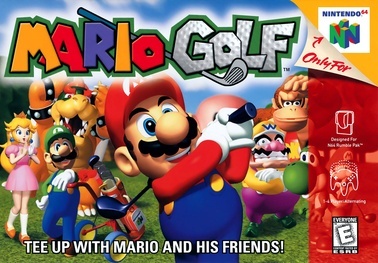 FUN FACT: Did you know that Mario Golf was developed by Camelot, and this was its first Mario game to contribute in? I know, a Mario sports game beat another Mario sports game, big shocker. 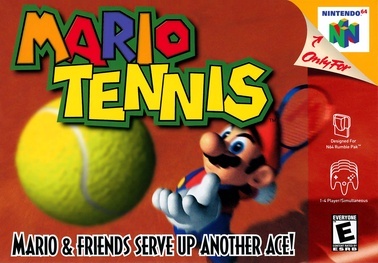 But Mario Tennis is our first member of the top 5 best N64 games, and the ace they served up is an unbeatable one. An amazingly good game of tennis that may make your hands sweat instead of your brow, this game really does use its material upon real-life tennis to know what they’re talking about, since every type of tennis shot is present and accounted for. “So what,”, you might scoff, “is it fun?” Yes, no doubt. Matches are fast-paced and entertaining, the hilarity increases every second of the game with unnecessary vocal and visual outbursts, and lots, lots more. Now all Nintendo needs to do is to have its people call Camelot’s people and notify it of the idea of the latest Mario sports game: Mario Table Tennis! FUN FACT: Did you know that the Mario Tennis series is due to continue sometime in 2012 when the series is serving a brand new ace on the 3DS? Look out for it, 3DS owners (or pre-3DS-gonna-get-one-for-Christmas owners)! 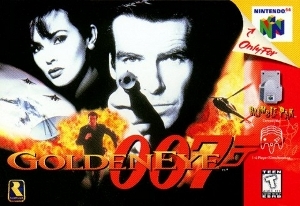 FUN FACT: Did you know that GoldenEye 007 sold 8 million copies, and that amount even beat out Ocarina of Time, by just 1 million consumers, to get into the top 3? Yeah, the bestseller’s list is a huge competition. FUN FACT: Did you know that upon meeting Yoshi in the game (which requires 120 stars), he adds life after life until you have a total of 100 lives? I better start working on that! FUN FACT: Did you know that Ocarina of Time sold 7.6 million copies worldwide, and beat out Super Smash Bros. in the process, by just 2.6 million sellers? Now you know! I do not understand what GameSpot means when they say this, but to me, Pokemon Stadium was fun enough to reach the #2 slot. This game is just a classic revamped 64-bit imagining of your usual Game Boy Pokemon games: full of strategy, stretches your brain to breaking points, and full of hidden support. Speaking of that support, it can be found with the power to transfer Pokemon from Pokemon Red, Blue, and even Yellow: Special Pikachu Edition, all with the usage of the N64 Transfer Pak, such as how the Rumble Pak provides force feedback. The AI has been toned down to the point where average Pokemon catchers could beat it, as of the Japanese version of the game was actually a sequel, and the original Japan-only game received lots of hate for being so hard. 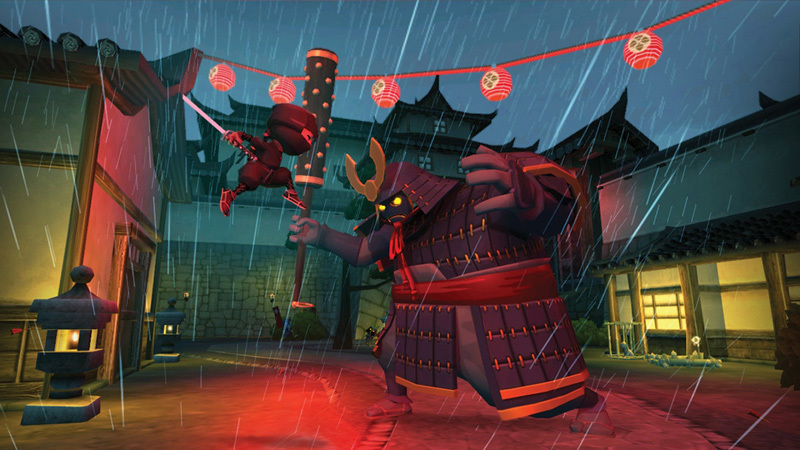 This game is so epic, it doesn’t even need a storyline! The only progress in-game can be made by winning Cups and completing the Gym Leader Castle. People have been looking at it in mixed to positive ways, with one even complimenting it as bringing “a tear of pride to your eye.” All I have to say to that person is three letters: IKR? FUN FACT: Did you know that the game was released as a cartridge (bet you already knew that), but was originally going to hold use of the Nintendo 64DD. But since the 64DD turned out to be a commercial failure, cartridge format became the transferred, and official, format. My, this is just full of surprises, isn’t it? But that announcer is right…something has gone wrong in the happy-go-lucky world of Nintendo, with a paradise of results. Think of being able to duke it out with your favorite Nintendo characters across arenas from your favorite Nintendo games, with music from your favorite Nintendo soundtracks. Mold that all together, and you get Super Smash Bros. at our #2 1/2 slot. 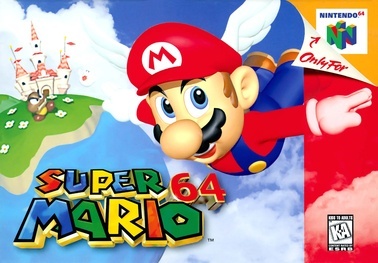 This game is just a free world of amazing impression, with cheesy and entertaining violence, heart-stopping enthusiasm from the off-screen audience, and even the most beneficial power-ups I’ve seen in an N64 game since I could pop on my Wing Cap in Super Mario 64 and at least try to fly away. Will you be having fun with a totally boss laser sword, amazingly powerful Bob-ombs, or are you gonna stop and have some Hammer time? 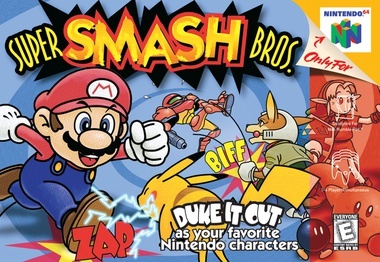 You can play as Kirby and always be able to float to safety, Link with the ability to throw his own bombs, Donkey Kong with him and his banana-fueled insanity, Mario (obviously) with his roots that created this game in the first place, Captain Falcon with him and his devastatingly popular (and pioneered) falcon punch, and more! 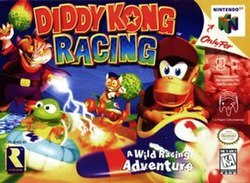 No wonder this game had the 5 million copies that beat out even Diddy Kong Racing! FUN FACT: Did you know that the Super Smash Bros. series is due to continue with its untitled fourth installment currently announced for the Wii U and 3DS? The date of release is not announced yet, but keep on the lookout for more news! If you know your Mario, there really is no other choice for the top of the barrel. Amazing soundtrack, fun racing, amusing power-up outcomes, this game has it all, but critics just don’t take the time to look at it the right way! 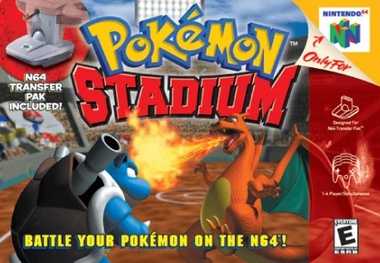 This game really does deserve its spot as the second-most bestselling N64 game, and don’t you think otherwise! Kenta Nagata, Shigeru Miyamoto, everyone needs at least a little respect! So I’m giving you some of the best aspects of the game, in a nutshell. Get the point? If you do, comment, rate, and subscribe, please. If you don’t, try rereading this entire post, alright? p.s. What should I Totally Top 10 next? Comment your opinions, and you could be responsible for our next countdown!